Bower of a Vogelkopf bowerbird (Amblyornis inornatus). Bower of a Vogelkopf Bowerbird (Amblyornis inornatus) decorated with blue berries, dark orange fungi, and orange leaves. 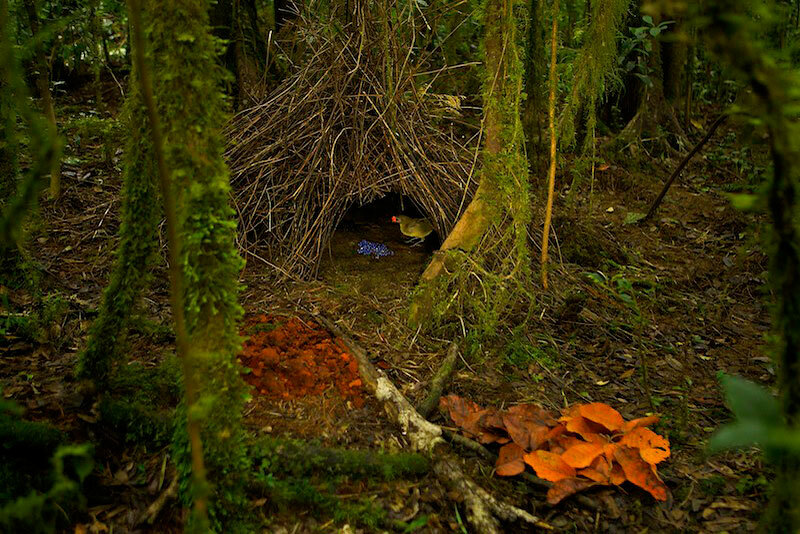 The male bowerbird stands in his bower entrance, holding an orange fruit he has just brought to decorate his bower with.